Cranberry sauce is a staple during holidays. But did you know that cranberries are actually a superfood we should be enjoying all year round?! In disease-fighting antioxidants, these little red ninjas outrank nearly every fruit and vegetable! 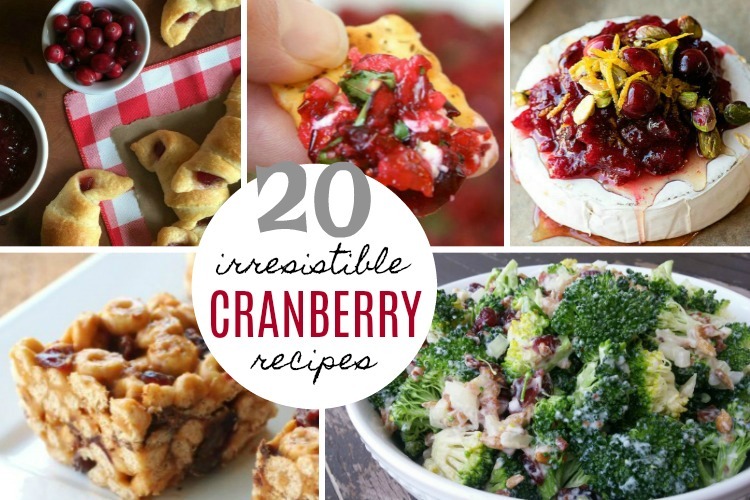 So whether you’re looking to enjoy nature’s tangy tart goodness in salads and desserts or dressing up that big ole turkey for your Thanksgiving or Christmas Dinner, we’re going to add some sweetness to your day with these 20 irresistible Cranberry recipes! As much as I love cranberries, I didn’t really know anything about this delicious little fruit… until now. Another fun fact: Cranberries don’t actually grow in water! So when you see the TV commercials with the guy standing in waders surrounded by floating cranberries, it means the commercial is filming during harvest season (late September through October). Cranberries actually grow on low-lying vines in bogs or marshes that are layers of sand, peat, gravel and clay. In the 1800s, when cranberries were first grown on a large scale, the grower would pick the berries by hand. The method was later revolutionized into a process known as wet harvesting. When the marshes are flooded with water, the berries (because of an air pocket) become buoyant enough to float to the surface and can be collected by harvesting equipment. So why don’t we eat more of them? Probably because most of us don’t really know what to do with them if they aren’t canned, jellied, juiced or dried. But have no fear, Makeovers & Motherhood is here! 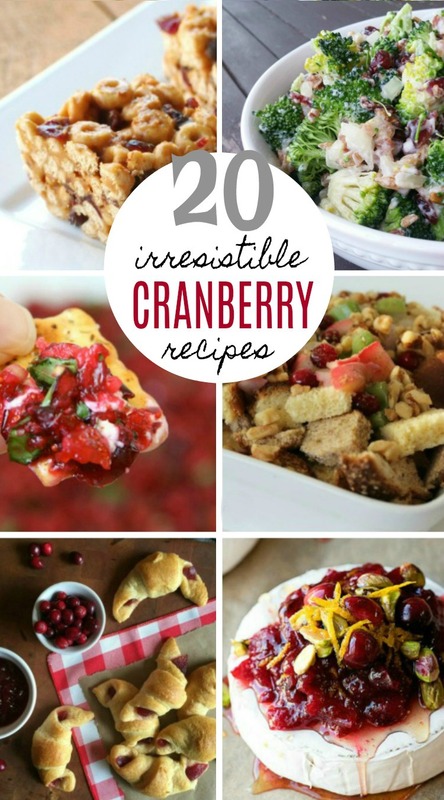 These amazing recipes are super easy and super delicious and will make you a cranberry pro in no time. More good news? While we know that raw is always better (meaning unprocessed), there is still hope for those of us with cranberry intimidation. Dried cranberries have plenty of health benefits that qualify them as being good for you. Granted, commercial processing will decrease some of the nutritional value by reducing vitamins and in some cases adding more sugar. But don’t shy away from them. A good rule of thumb: check out the nutritional details on the package. If the nutritional profile looks more like candy with an excess of sugar, kiss it goodbye and move on! Healthier brands do exist and can be a good way for you to get more superfood into your body. Trust me, we’re dried cranberry junkies over here! But if you want the whole deal, go for the real deal and eat fresh. Happy cranberry consuming, my friends! Please share with me in the comments… what is your favorite cranberry dish?